Need to enhance brand awareness and recognition in a saturated market? There are plenty of ways to stimulate success. Some exceptional brand photography, a powerful marketing plan, or even a touch of influencer inspiration could help you to reach new customers in your niche. However, one of the best ways to make your company becomes instantly more memorable is to use the power of straplines. Straplines are snappy phrases that tie into your firm’s USP to help customers figure out why they should choose you, over your competitors. While your business name expresses who you are, your strapline can convey what you do, and why you’re the best option in the market. The problem is, developing a meaningful, catchy, and effective strapline that stands the test of time isn’t as easy as it might seem. For every “Think Different” or “I’m Lovin’ It”, there’s an ever-growing graveyard full of instantly-forgettable, non-descript slogans that never make an impact on their audience. 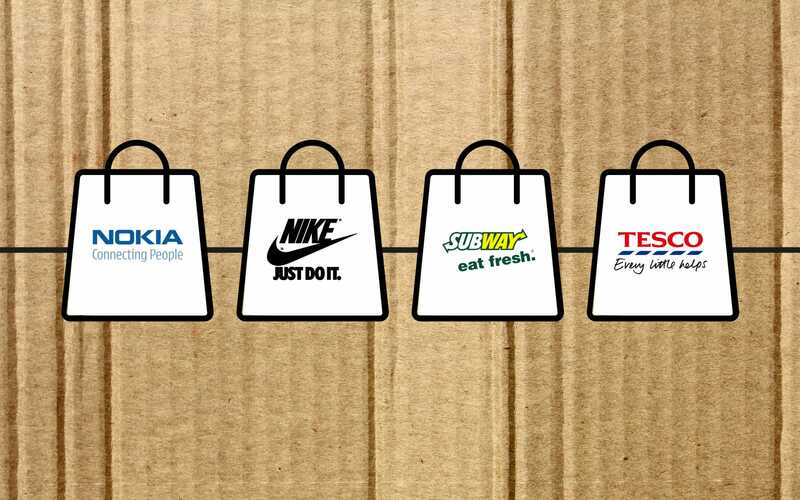 Strapline creation is a powerful exercise that forces brands to think about what they do for their customers. After all, your strapline should be a concise version of your brand promise – something that tells your followers what you hope to achieve in the marketplace. 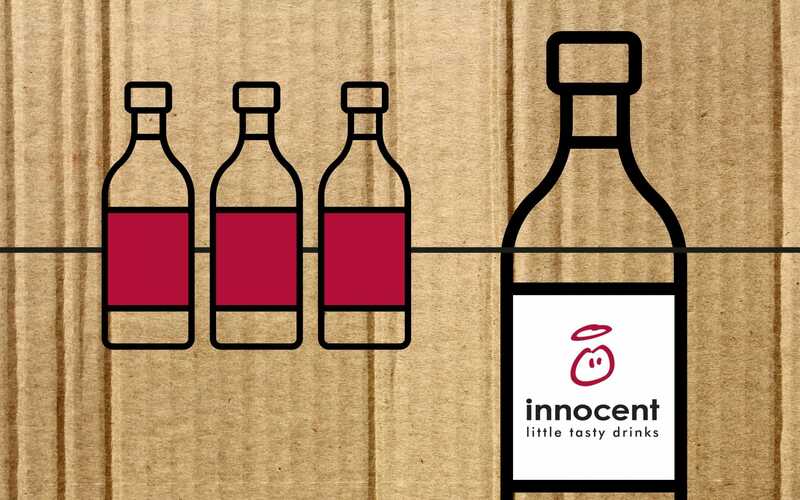 Let’s look at how you can create a sensational strapline for your organisation. Building the best straplines: Why do you need straplines anyway? 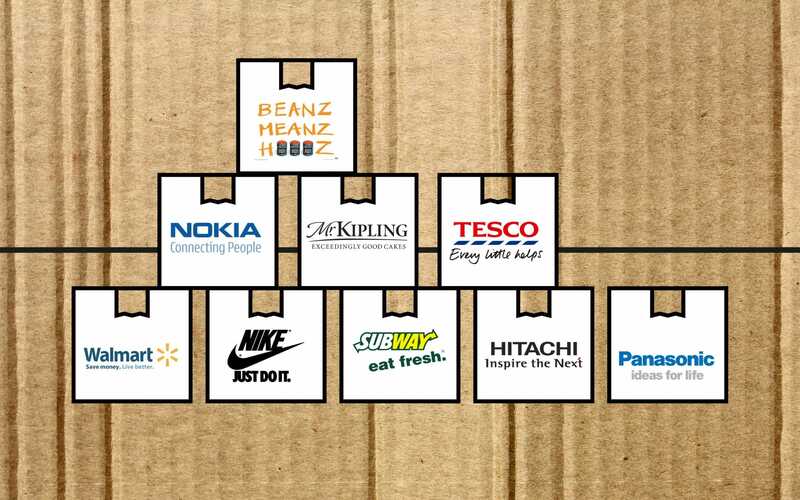 You might wonder why company straplines are so essential to brand recognition. After all, while there are countless famous straplines out there, there are also plenty of companies that seem to operate somewhat successfully with no slogan to their name. Ultimately, in an age where marketplace competition is growing increasingly more fierce, good straplines can be an incredibly valuable tool for any brand. Like a logo, they allow your customers to get a quick feel for your company, conveying how you think and behave in a short soundbite. Straplines convey the values of a brand by showcasing what your business is all about in one simple phrase. In your strapline, you can make a promise to your audience that outlines what you are going to achieve on their behalf. The key thing to remember is that you need to make sure you can deliver on whatever guarantee you’re making. Choose something that your business specialises in, to avoid the risk of disappointment. While your brand identity can work wonders when it comes to selling the trustworthy nature of your brand, it takes time for a customer to really get to know your company. Good straplines can convince your audience that you’re worth the time and effort by showing that you understand consumer pain points easily. A descriptive strapline can tell your audience exactly what you’re going to do to make their life easier, which is a great way to sell your business to your fans. One of the biggest reasons why it’s so hard to get ahead in today’s marketplace is that there are so many people doing the same, or similar things. The chances are that no matter how unique your products or services might appear, there is someone else out there who can do what you do for less money. That’s why you need a new way to differentiate your brand. Company straplines can contribute to an overall relationship, affinity, and experience that helps you to stand out from your competitors. Most people can pinpoint a great strapline when they hear one, like Loreal’s “Because I’m Worth It”, or “Ah, Bisto”. However, designing a strapline that really makes an impact can be much harder than you’d think. So, how do you simplify the path to success? When they’re done right, the best straplines can strengthen every element of your marketing. Unfortunately, getting the right amount of meaning into such a short phrase is rarely easy. The wrong information could even alienate and upset potential customers. Are short, snappy, and memorable. Appeal to your audience and keep them engaged. Represent your brand ethos and values. 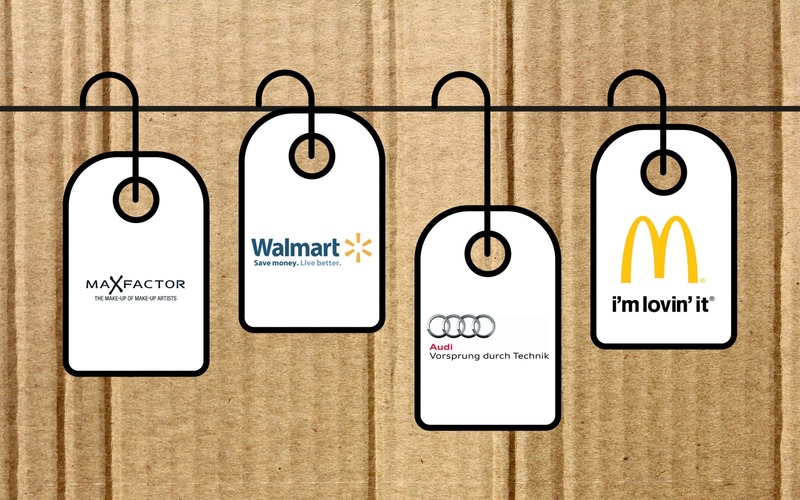 Perhaps the simplest example of company straplines, descriptive slogans work to convey who you are as a company, and what you do for your customers. While these lines aren’t as creative or inspirational as some other options, they can be a great way to draw customers to your product or service, by answering their questions about your brand before they even have to ask. A by-product of “descriptive” taglines, egocentric straplines convey what you do, while highlighting your USP at the same time. They act as a simple form of content marketing, designed to convey what makes you special in a couple of words. While these company straplines might not tell people exactly what you or your product does, they do tell your audience that you’re worth their time. That means that they act as a combination of descriptive, and aspirational straplines. Like an egocentric strapline, aspirational straplines are a way to highlight your USPs as a brand in a simple, and effective way. However, rather than just highlighting how amazing your company is, these company straplines tell part of your brand story for you and let customers envision what their lives could be like with the help of your company. You know why straplines are important, and what you can convey with different styles or formats, but the key question is, what separates the best straplines, from the ones that fade into obscurity? Good straplines are designed to differentiate a brand, product, or service. They share your venture’s unique tone of voice and help you to demonstrate your personality to your customers within an instant. The best way to decide whether a strapline is effective or not is to ask yourself whether it portrays the character of your company, and compels customers to work with you. A strapline isn’t just a way to make your brand name look fancier, or add substance to your logo. Instead, it should be a key part of telling your company story, and conveying what you stand for as a business. If your company straplines don’t mean anything, then there’s no reason for you to have one. Think about what you can really do differently to other competitors in your market space, and try to create a phrase that will help your customers see you as a reliable choice. While egocentric straplines might be a great opportunity for businesses who want to brag about what their organisation can accomplish, it’s important to remember that your brand identity should be a response to your customer’s needs. Your strapline is one of the first chances you’ll have to truly engage with your customers, and start building a stronger connection. If you make the tagline sound like too much of a brag, then you’ll struggle to earn the respect of your audience. Instead, make sure that you focus on the needs of your customers, and make it clear that you’re putting them first. Company straplines are not a brand manifesto. When you’re looking for a way to showcase your values as a business and separate yourself from your competitors, it’s easy to get carried away and start writing a list of which features make you special. However, a strapline should be as short, focused, and concise as possible. If you have several things that help you to shine as a competitive brand, then you’ll need to do a little bit of work and narrow your options down into one key USP. Determine what you do better than anyone else in your space, and concentrate your attention there. A strapline should never be more than 8 words long. Good straplines don’t necessarily need to have an emotional component to be effective. Descriptive straplines often overlook the “feelings” aspect entirely. However, as we move towards a world of consumers that are more focused than ever before on building stronger relationships with their favourite companies, it may be a good idea to take an emotional approach. Younger customers like millennials and generation Z are looking for “experiences” to help differentiate the brands in the marketplace. If you can make your tagline part of the overall brand experience, then you could get a stronger following, and even some great opportunities to open yourself up to brand ambassadors. Finally, remember that some of the best messages are the ones that compel your audience to do something. This might mean that your tagline convinces your customer to visit your website and learn more about your brand, or it could push them to choose you over your competitors. If you can make your strapline actionable, then it might help you to push more customers towards a shared vision. 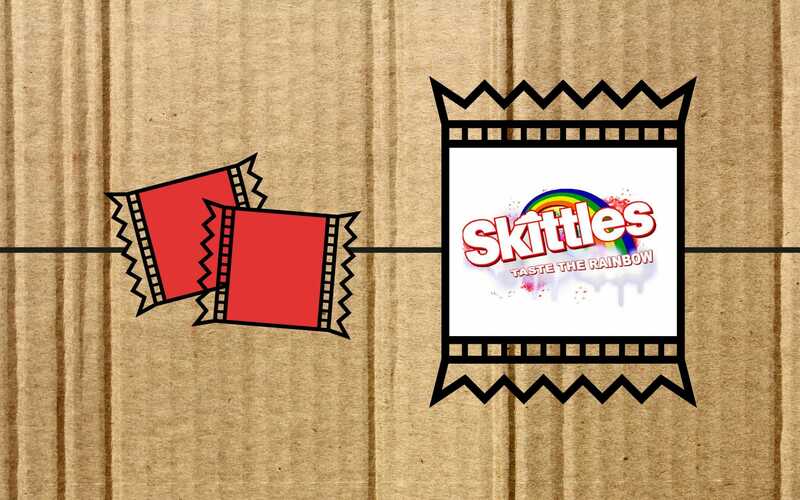 For instance, an example of a famous tagline that’s action-driven might be “Taste the rainbow” from Skittles, or Yellow Pages’ “Let your fingers do the walking”. While the steps above should be incredibly useful when it comes to getting started with your own company straplines, it’s also worth looking at some of the famous company straplines that we know and love today for inspiration. The more you learn about these famous straplines, and where they came from, the more motivated you’ll be to create a tagline that works for your company. Remember, the best straplines can easily become a part of our everyday speech, evoking feelings of nostalgia, and even inspire certain behaviours. “Think Different” is by far one of the best-known straplines in the world. It was first released as a way of honouring the visionaries who contributed to revolutionary changes around the world. The phrase is something of a bold nod to the IBM campaign “Think IBM”, which the company used to advertise its “ThinkPad” at the time. The “Think Different” strapline became a natural part of the Apple message, designed to inform customers that Apple technology wasn’t just another type of computer, but a powerful and simple solution, unlike anything they’d used before. According to some research, Apple’s stock prices tripled within a year of the strapline’s creation. Though the statement has been retired today, it’s still something that many customers remember when they’re talking about Apple. 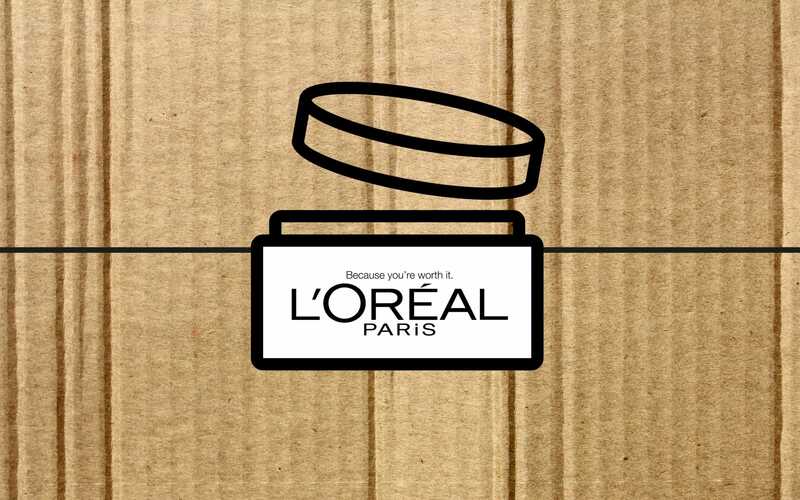 The L’Oréal slogan is one of the most famous straplines in the health and beauty world. It works because it builds upon a universal desire that customers have to feel “special” and respected. The people at the L’Oréal brand worked on a theory that their customers wear their makeup to feel beautiful, desirable, and confident. Like many of the best straplines, L’Oréal’s tagline is effective because it doesn’t focus on the product, but the experience that the product can help you achieve. The unique message allowed L’Oréal to give its brand the selling power it needed so that it could become more than just another makeup brand. 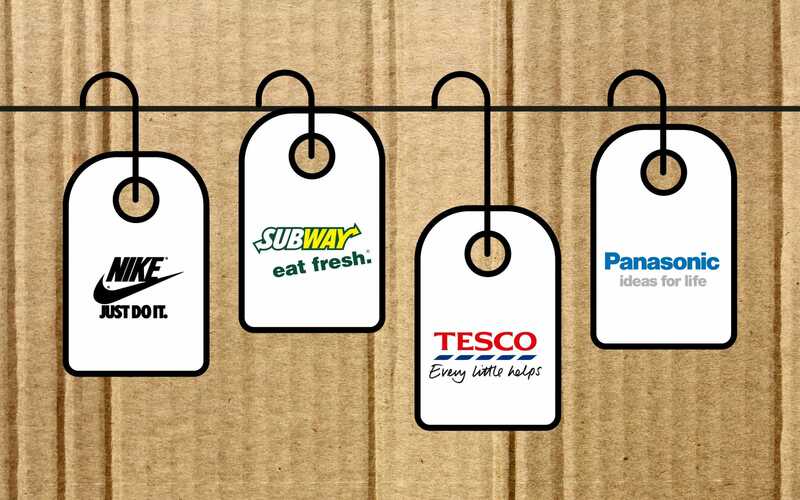 When it comes to famous straplines, Tesco’s “Every Little Helps” is the kind of catchy message that can help businesses to really stand out in their niche. This simple tagline will stand out in almost any context, and it’s flexible enough to fit in with various Tesco messages too, referring to everything from service, to quality, and value. According to Guardian writer, Naresh Ramchandani, Tesco’s strapline is possibly one of the most modest and effective slogans ever written. 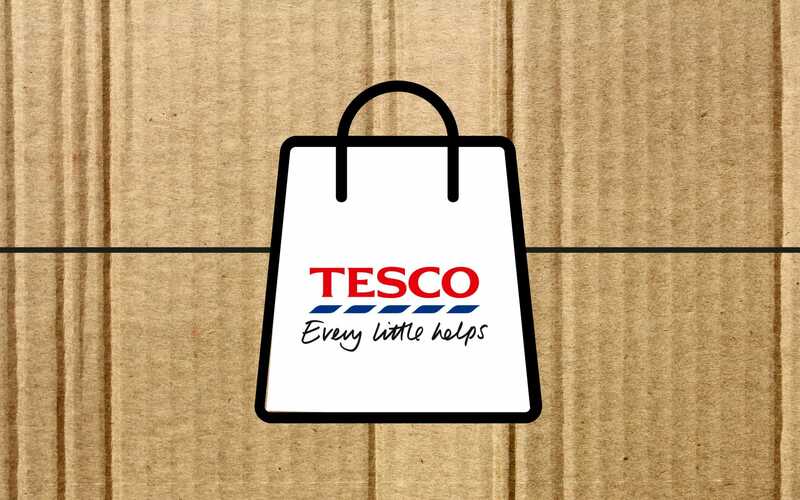 After all, it allows Tesco to not only showcase its brand values, but also build itself up as a brand that’s specifically focused on its customers. Nike is one of the most memorable contenders in the search for the world’s best famous straplines. The simple, yet effective message “Just Do It”, resonates perfectly with customers around the world, conveying a state of mind that athletes around the world try to embrace. According to Nike, anyone can be an athlete, and their unique message seems to epitomise that idea. One of the strengths of good straplines is that they’re true to the brand while inspiring ideas that are bigger than the company itself. 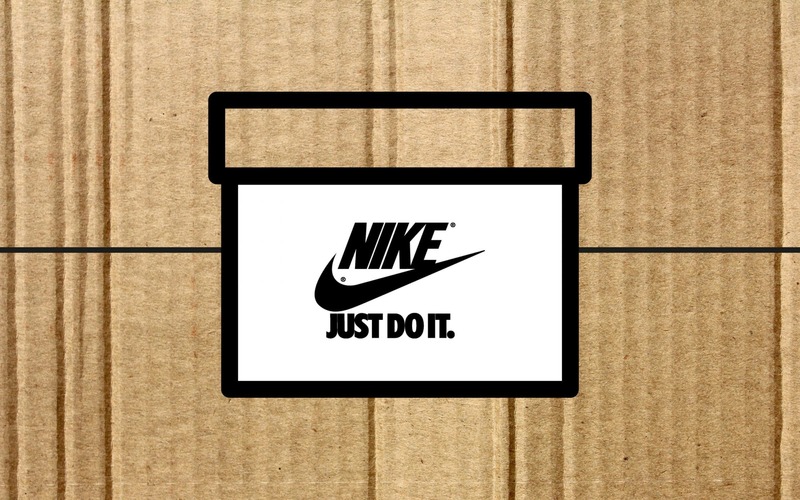 The “Just Do It” phrase is more than just a description of Nike as a company, it’s a way of showcasing the attitude that Nike has towards its products, and its customers. Finally, a little bit of fun or humour in your brand can be a great way to make sure that your company straplines really resonate with your customers. 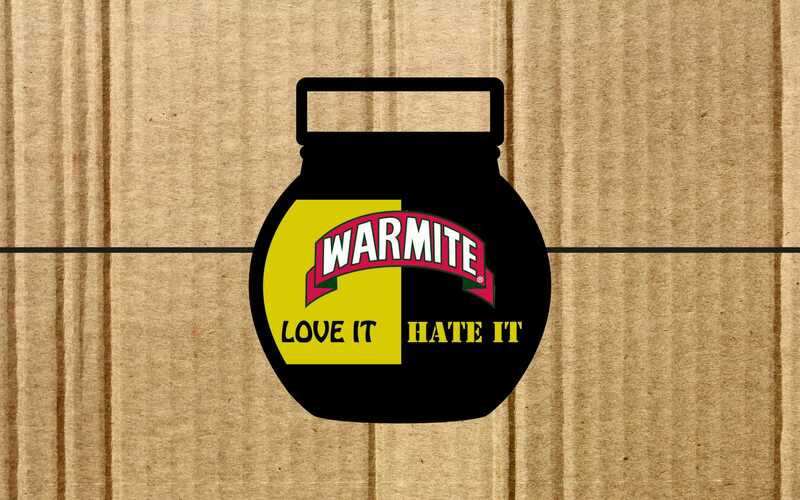 The Marmite marketing team decided to embrace the controversy around their products by implementing it into their branding solution. The “Love it or Hate it” message is one of the most beloved and famous straplines around. Not only is it a great way for Marmite to show their customers that they don’t take themselves too seriously, but it’s also a fantastic way for the brand to start a conversation on the behalf of its customers. The strapline caused the company’s sales to grow after five years of problems, resulting in a growth of 5%. As you can see from some of these famous company straplines, a great message can work wonders for your business if you know how to use it properly. 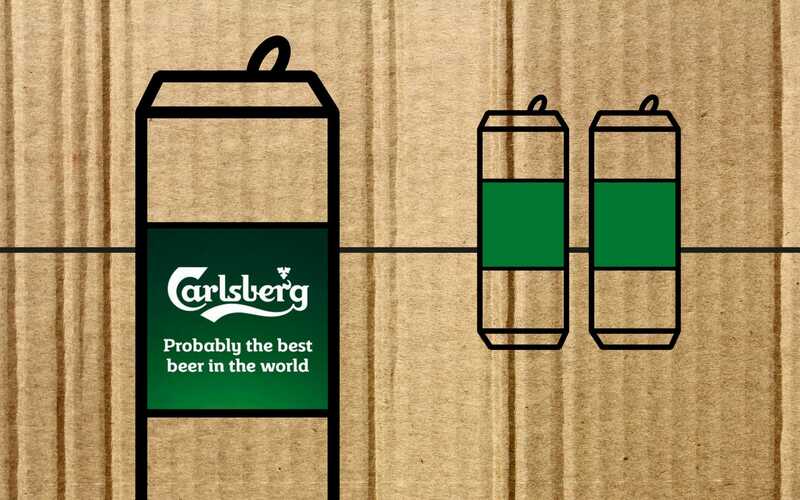 Most of the time, it’s all about conveying the philosophy of your brand in the simplest way possible. Ultimately, company straplines are a unique expression of what makes your business special. This means that you can’t necessarily just pick an assortment of words out of a dictionary, or copy and paste someone else’s tagline onto your brand name. You need to think carefully about the personality and ideas that you want to convey. Before we draw this article on straplines to a close, here are some quick tips that could help you to narrow down and perfect your choices. Consistent branding is the key to creating a business that’s recognisable, memorable, and successful. That means that you shouldn’t be creating company straplines separately to other elements of your brand identity, like your logo and name. Try to design something that works perfectly with the rest of your image, and organisational character. Whether your strapline is descriptive, aspirational, or egocentric, it should showcase the things that make you different from other brands and organisations. This is your chance to really stand out before your customers have an opportunity to learn more about you, so make sure that you use it wisely. If you’re not sure what makes you different, then you might need to speak to a brand consultancy. Ideally, your strapline should be something that lasts for as long as (if not longer than) your business name. Verizon had a great run with their “Can You Hear Me Now” campaign, but it was only a matter of time until the technology we use with mobile phones made wireless calling simpler for everyone. References to trends and technology are risky, so think about how you can make your strapline as time-proof as possible. There are plenty of elements in a brand identity that can make your business more memorable, including shapes and colours. However, your strapline is one of the many elements that can instantly capture your customer’s attention, and convince them to buy from you instead of your competitors. Remember that you only have a limited amount of time to capture your customer’s attention, so think about the words that are most likely to stick in the minds of your target audience. Finally, remember that the best company straplines capture the character and heart of your business. 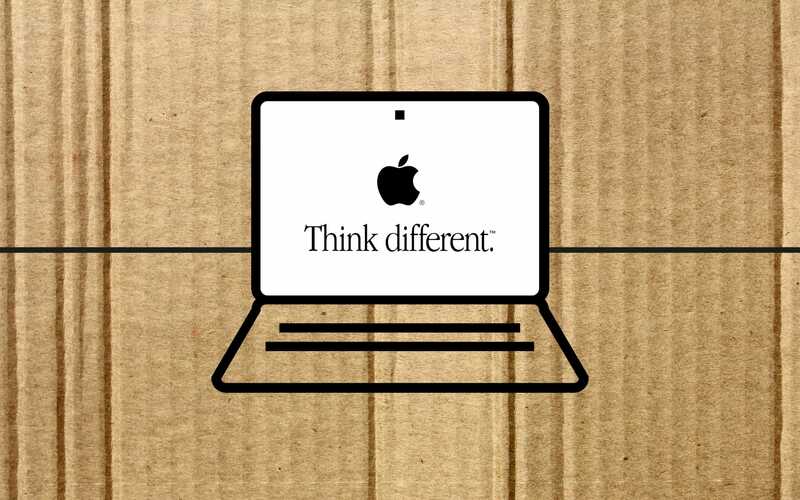 Apple showed us how much personality can count in a strapline with their “Think Different” message. This phrase perfectly embodies the idea that Apple and their customers are both innovative and unique. Try to show your human side when you’re engaging with customers through your name and straplines. 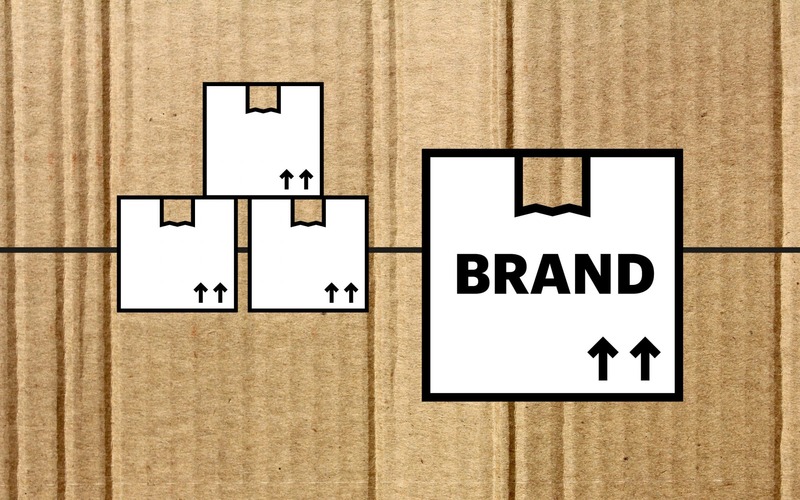 For some businesses, company straplines have emerged as nothing more than another box to tick when they’re going through the process of building a brand. However, the truth is that your strapline is your ultimate opportunity to give context to your logo, support your name, and communicate crucial ideas to your customers within a matter of seconds. These simple phrases tell your potential leads what sets you apart from your competition, so they know you’re worth their time and effort. The right strapline can showcase your brand promise, and help to develop loyalty within your target audience before you ever have a chance to start developing relationships with social media and content marketing. Of course, since you only have a few words at your disposal, coming up with the best straplines is often quite a challenge. A lot of brands end up focusing on what their product or service is, rather than the values it can offer their customer. To capture your reader’s attention, you need to use all the strategies above, and access plenty of inspiration, to refine the soul of your business into one, simple soundbite. — Are your pictures worth a thousand words? This was just what I needed this evening! When starting a new brand, coming up with a streamline is super hard. We’ve trialled and tested a few for our air con installation business but funnily enough, coming up with an enticing strap line for this industry is somewhat challenging to say the least!!! I like the descriptive strap lines although am leaning more towards the ego strap line to give our company some kind of sense of humour and stand out! We’re glad you found this informative, good luck with choosing! I find straplines so interesting! They really are the true trademark of a brand and if you get well known enough, sometimes are more recognisable than your brand name of logo (that’s if you’re really good!). Really liked this article – cheers for sharing! Thank you for your response, glad you enjoyed the article. It is interesting how some huge companies have straplines that aren’t as well known.